Adventist Mission | "God Is First"
The Croatian Conference is part of the Adriatic Union Conference and was organized in 1925. Croatia has 84 Adventist churches and 2,796 members. The Adventist Seminary in Croatia originally opened in 1931 in Belgrade. It has moved to different locations, but is now on the Maruševec campus and is known as Adriatic Union College. Naum (pronounced NOW-oom) had to stand up for his faith at the tender age of seven. In Yugoslavia, school was obligatory every Saturday. Although young, Naum determined to not attend school on Sabbath. After missing two Saturdays in a row, the first grader was confronted by a special commission set up to interrogate him. Coming to his classroom, the group of five officials dismissed all of the class except for Naum. Standing alone, the seven-year-old bravely faced the school director, two teachers, and two uniformed police officers—one of whom was the regional director of the secret police. “Why aren’t you attending school on Saturday?” the interrogator began. “Because I believe in God, and according to the fourth commandment of His law, I’m not to be in school on His Sabbath. This is why I’ll be in church every Sabbath, not in school,” Naum replied. “You’ll be expelled from school, and will have no further opportunities to receive an education!” the man glared. “So what do you do at your church?” the interrogator continued. So Naum sang a hymn and prayed a simple prayer, thanking the Lord for opportunities given, for health, for the government, and to direct the commission properly and honestly. Following his prayer, Naum was asked if his father had told him not to go to school. If the answer had been “yes,” his father would have gone immediately to prison. Knowing his son could be interrogated, Naum’s father had never told him not to attend school. Naum hurried home to tell his parents what had happened. Not surprised, “they knew what my decision would be,” he recalls. No directive came from the commission, so Naum continued attending school, except on Sabbaths. Upon completing primary school, Naum wasn’t able to continue his education because of his firm decision to keep the Sabbath. So at age 15 he started working full-time with his father on their farm. But God had other plans for Naum. He remembers well the day he learned that there would be a Seventh-day Adventist secondary school and college in his own country. Since the school was not then accredited, the students had to pass all 17 subject exams given by the government at the end of every school year. After graduating, Naum attended university in the city of Zagreb where he studied French and Latin. 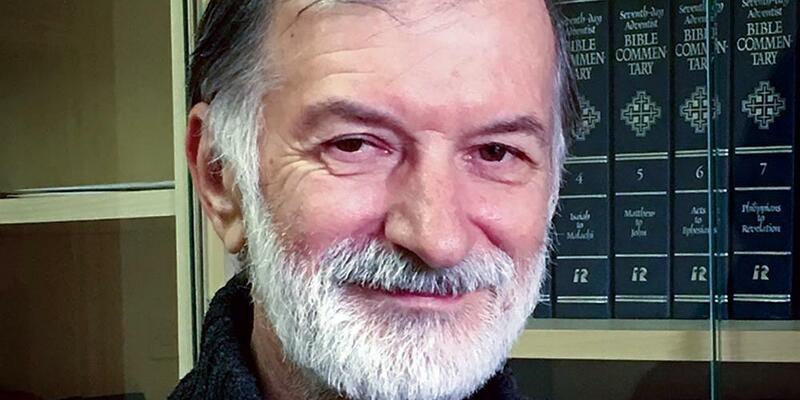 Upon completion, Naum had two job offers—one from the communist government, offering him a highly desired political position with many benefits; the other a teaching position at the Adventist school in Maruševec. For many years Naum faithfully served the students at Maruševec, not only by teaching them French and Latin, but eternal values. Today, with the majority of the students coming from non-Adventist, even atheistic homes, Naum sees Maruševec as even more of a mission field. Thank you for supporting the mission outreach in Maruševec, Croatia.